The CBI said that Virbhadra's two children have been called as nothing more than witnesses for a few clarifications. 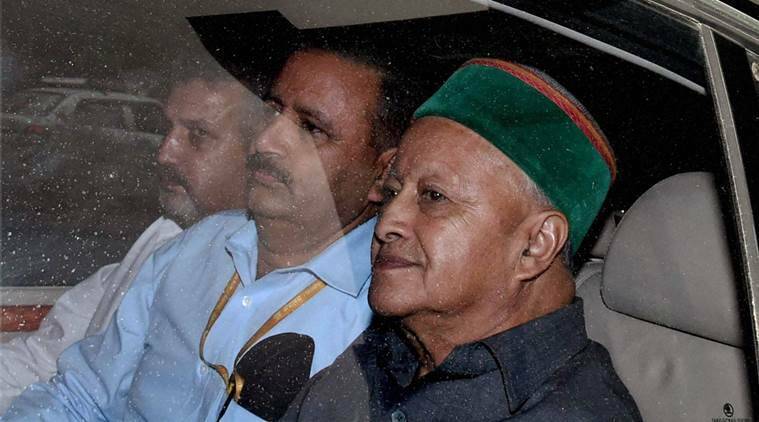 CBI today informed Delhi High Court that Himachal Pradesh Chief Minister Virbhadra Singh’s two children have been called as witnesses for questioning in a disproportionate assets case and there was “no plan” to detain them. The CBI said this after Justice P S Teji asked the probe agency to clearly state whether they intended to detain Virbhadra’s son Vikramaditya Singh and daughter Aprajita Kumari during questioning. The court was hearing a petition filed by Vikramaditya and Aprajita in which they were seeking protection from arrest, contending that they have been called by CBI for questioning as witnesses today and tommorow. Senior advocate Ashwani Kumar, who appeared for them, told the court that Virbhadra Singh and his wife have been named as accused in the FIR along with others, but neither Aprajita nor Vikramaditya have been named. “We will join but we apprehend that they (CBI) can detain us, so the court should protect them from arrest,” he said. The court disposed of the plea in view of the statement made by CBI’s counsel. Virbhadra was recently questioned by CBI in connection with the case of disproportionate assets allegedly amassed during his stint as a Union Minister. CBI had claimed its inquiry showed that Singh, while serving as Union Minister during 2009-2012, had allegedly accumulated assets worth about Rs 6.03 crore in his name and in the name of his family members which were found to be disproportionate to his known sources of income. The allegations have been strongly refuted by Virbhadra.